Copyright © 2011 OMCH. All rights reserved! By this time, obesity has become an epidemic disease in the major part of the world. Overweight has proved to be one of the main challenges of our present and future. Let us shortly introduce the adjustable gastric balloon? distributed by ? that significantly promotes weight loss. Using this device, overweight patients are expected to loose weight effectively; clinical studies show that an average of 35.5 kg weight loss can be obtained to the end of the 12-month period. The intragastric balloon system has been successfully used in weight-reducing therapy for nearly 20 years. The inventor and developer of Spatz intragastric balloon is Jeffrey BROOKS, M. D., gastroenterologist, founder of Spatz ™ FGIA, Inc. Inventor of Spatz ™ Adjustable Balloon System is a former lecturer of Columbia University Medical Center who, cooperating with experienced balloon engineers and clinicians, has been improving the product since 2005. 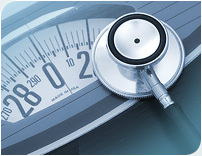 "My purpose was to create a more safe, comfortable and effective solution for obese patients. We are proud to provide the endoscopic specialists, overweight and obese patients with the first Adjustable Intragastric Balloon System of the world that has been approved for one-year implantation. Insertion and removal of the balloon is simple; it is made of tissue-friendly silicone resistant to stomach acid and other mechanical impacts. Our product range hasb been extended with further accessories!